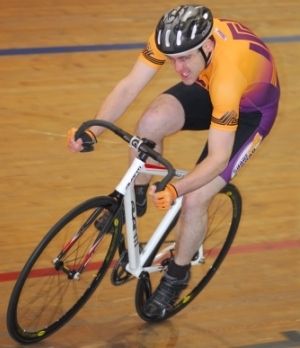 The Police 5-Os dominated yesterday’s running of Cycling Southland’s Harrex Group-sponsored Corporate Pursuit winning Division One at the ILT Velodrome. Can anyone stop the police in the finals of Cycling Southland's Corporate Pursuit tomorrow? On the evidence of last weekend's time trial, it would appear not. Southland businesses will be operating at speed this Sunday as Cycling Southland’s Harrex Group-sponsored Corporate Pursuit is held for the sixth time. After last weekend’s Grading Time Trial the capacity field of 34 teams has been split into two divisions as each six-person squad lines up to battle each other over a full day of racing. Cycling Southland held its Annual General Meeting this week. It provided a rare opportunity to pause and reflect on the last 15 months’ work. Each and every week I am continually blown away by the support this organization receives from such a passionate group of people and each week I am captivated by the opportunity which exists for the sport and for Cycling Southland. Cycling Southland’s Harrex Group-sponsored Corporate Pursuit kicked off today at the ILT Velodrome with the annual Grading Time Trial. A capacity field of 34 four-person teams battled the clock and chilly temperatures to confirm seeding for next Sunday’s Finals Day. Thanks to those who took time to come along last night to our Annual General Meeting and to those who weren’t able to make it through apologies/proxies. You can find links to our Overview and the numbers in our Annual Accounts here, along with my CEO report. 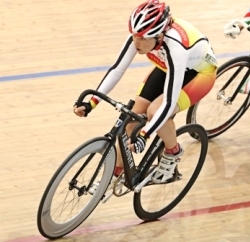 Cycling Southland’s Harrex Group Corporate Pursuit is to be held over the next two weekends. Last year’s winning team was YMCA Education. They were anchored to their victory by Karl Watson who today tells us why competing in the event last year was truly life-changing. 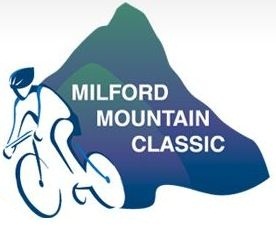 Organisers of the Distinction Hotels Milford Mountain Classic Cycle Race are confident ‘take-two’ of the event will be a success, as they look to cement a place for it on New Zealand’s road cycling calendar. Cycling Southland’s Harrex Group Corporate Pursuit is approaching fast. 2010 rookie Diane Lindsay offers a newcomer’s perspective on the event. Kia ora guys! Well, I am thrilled to be able to introduce myself here and let you all know how excited I am to be joining the team at Cycling Southland. I have been overwhelmed with the warm welcome and encouragement I have received from everyone - a true Southland embrace! Thank you! Entries for the 2011 PowerNet Tour of Southland have officially opened. This year's entry form is now online and riders and teams are encouraged to confirm their places as soon as possible with strong interest in the revamped 2011 event. Sports Funding - The Future? On Friday I was fortunate to act as MC for the ILT Southland Sports Awards, as we recognised the outstanding efforts of our sporting achievers writes CEO Nick Jeffrey.